What do we mean when we refer to Mid-Frequency Aperture Array (MFAA) in the SKA design? 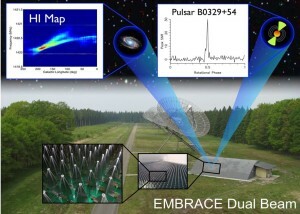 “The fully sampled field-of-view, of the order of 100 square degrees, makes the SKA Mid-Frequency Aperture Array effectively a 10-gigapixel ultra wide field spectroscopic camera“, says Steve Torchinsky, member of the MFAA Consortium and astronomer at the Station de Radioastronomie de Nançay, France. 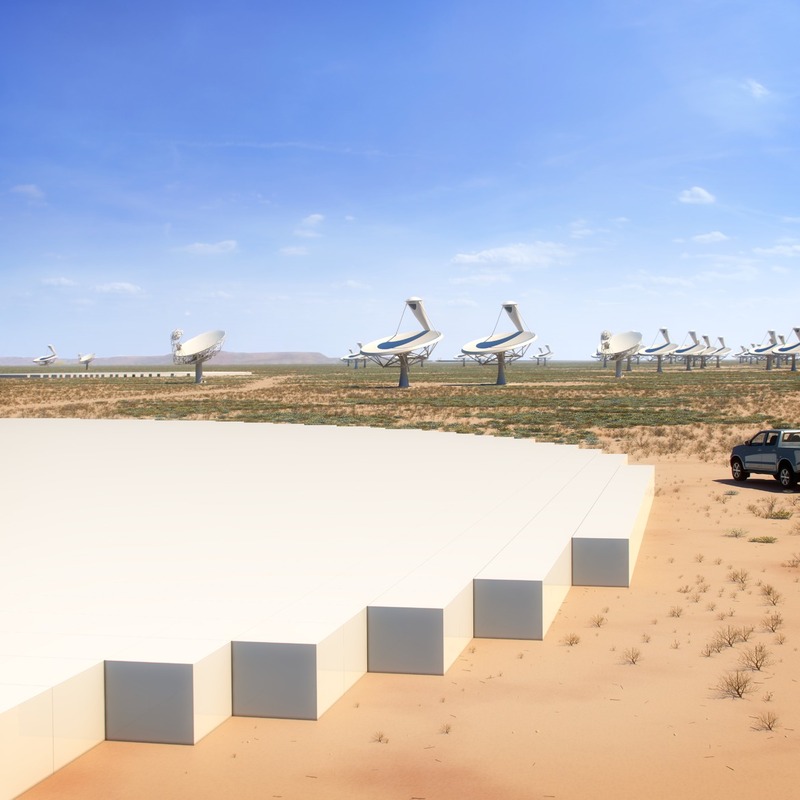 By using experienced groups, many of whom have worked together closely on previous SKA programmes, a proven technological base exists and appropriate industrial developments can be investigated, one with experience in costing and management of radio telescope projects, and drawing on vast experience gained from precursor projects such as THEA (Thousand Element Array), EMBRACE and ORA. The MFAA Consortium itself is a collection of institutes with considerable experience in the field of Mid-Frequencies aperture array research and development. 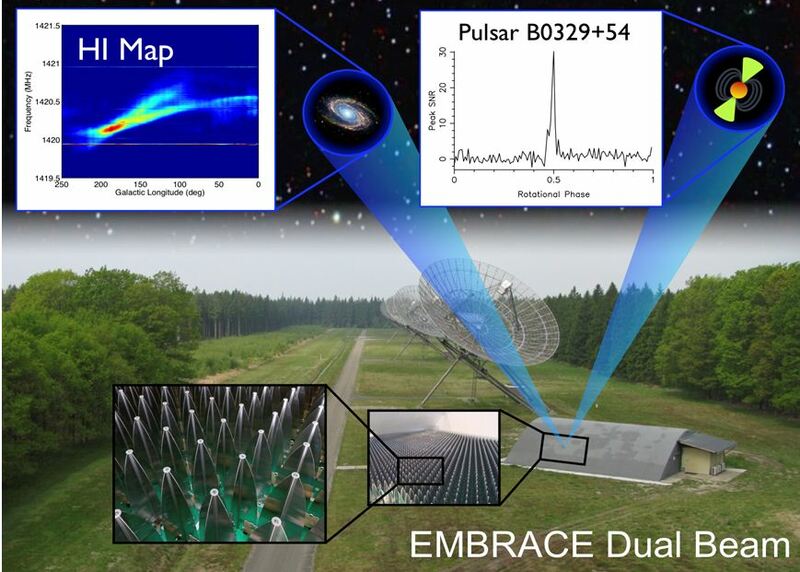 The key players in the EMBRACE work package of the SKA Design Study, an EU-FP6 project which concentrated on development of Aperture Arrays led by ASTRON (Netherlands Institute for Radio Astronomy), are part of this consortium. The MFAA consortium is led by Wim van Cappellen of ASTRON in the Netherlands. Contact information of people involved at each institution can be provided by the consortium lead Wim van Cappellen.